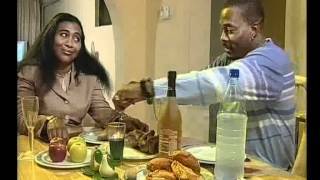 This is a throwback film on NMN: Unfaithful Nigerian Movie  - starring Zack Orji, Hilda Dokubo, Hanks Anuku, among others. A film by Dickson Iroegbu. This movie is a classic! Movie Storyline: The lovely marriage of Charles (Zack Orji) and Prisca (Hilda Dokubo) goes sour and is filled with infidelity and promiscuity on the part of Prisca because she reunites with her first boyfriend of many years. Charles will do all that it takes to protect his marriage.